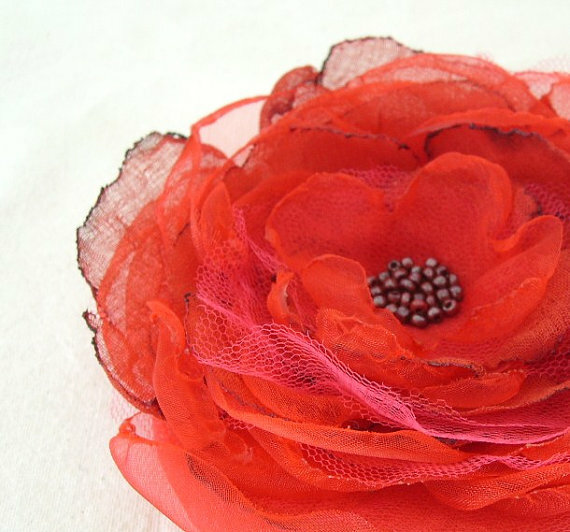 I love doing product reviews so I was very pleased when I received this gorgeous large red organza flower accessory by the Fairytaleflower shop. 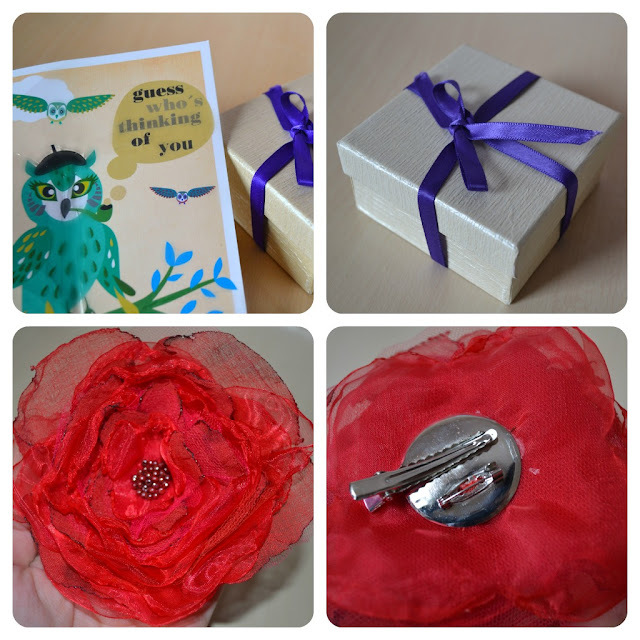 The organza flower was sent to me in a nice box wrapped up with a purple ribbon and accompanied with a lovely card 🙂 The shipping was fast and the shop owner was very kind and chatty. 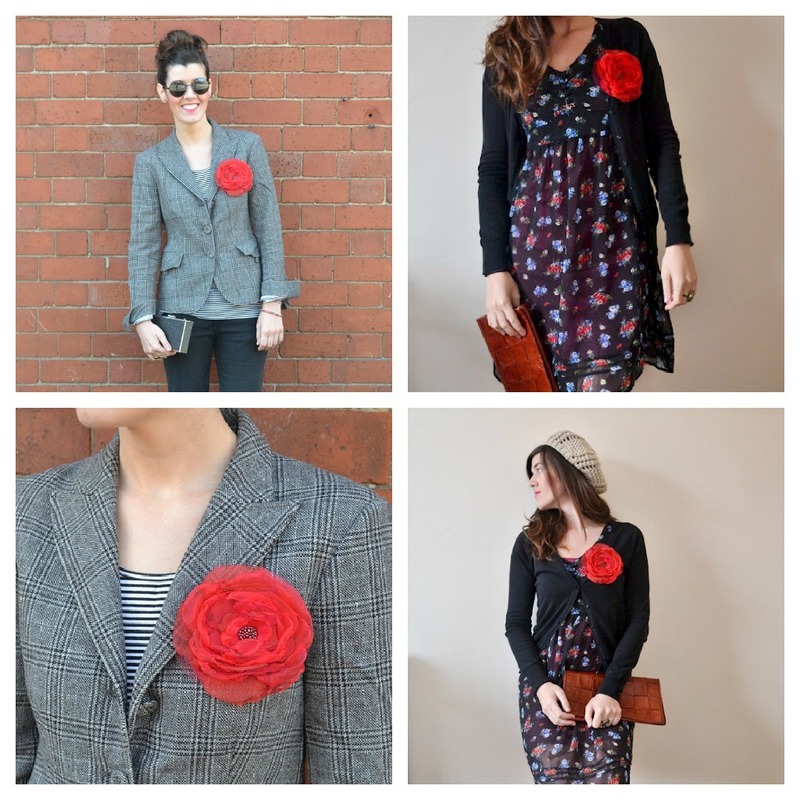 The flower was carefully made by layers of red, magenta and fuschia organza to synthesize the flower petals. In the centre hand-sewed burgundy beads give a magnificent glamour tone to the accessory. So far I’ve worn it as a brooch as you can see in previous posts here and here but it can also be worn as a hair accessory or attached on your bag or scarf . There are so many different combinations you can do and the vibrant colour helps a lot as it makes any piece of clothing look so special. 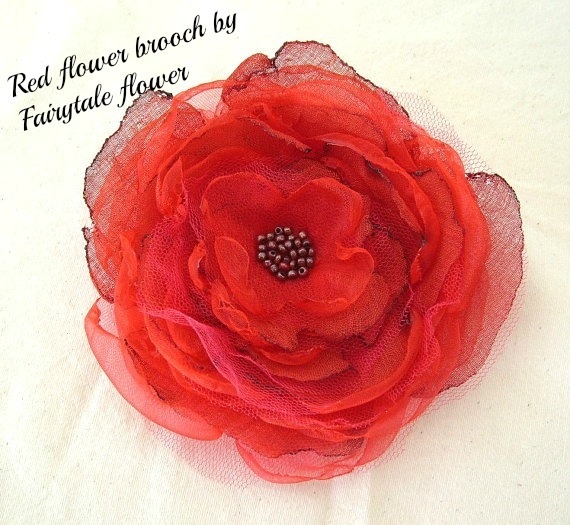 If you want to get the same accessory visit the Fairytaleflower shop here. The same owner has also another shop with fabric brooches and bags. You can have a look here. I recommend them both for Christmas shopping as they offer a collection of cheap, handmade gifts ready to ship on your doorstep!